Time is Now: Prepare, Send Help, Be Help. 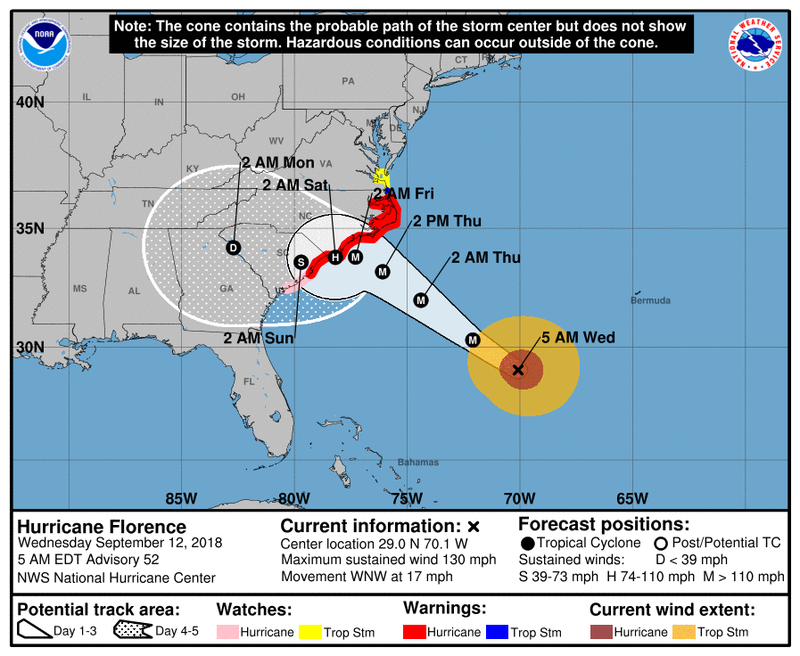 Hurricane Florence is expected to make landfall on the North Carolina Coast as a Category 3 or 4 storm early Friday morning. Besides the winds; storm surge and inland flooding are of major concern. If you are anywhere near the cone please make necessary arrangements to protect your property and more importantly yourself. If your church is in that cone, please have them contact us. We will be identifying best locations to set up distribution, hot meals, and recovery operations. Do not self deploy, thinking that you will be a big help. You will not. You will be in the way. Or worse yet, you may end up needing help yourself. The most important way to help is first to pray. Next, your financial contribution will be multiplied over 100 times in the early stages of relief as we are able to get supplies at huge discounts. We ship by the semi load of palletized items for easy distribution. Other teams who would like to come and help can fill out the form on the BRING A TEAM page. We anticipate a high need for teams for at least a year if this stays the course.